In 1996 a major flood severely damaged most of the homes on Carter Avenue. Through PEMA and FEMA grant money, the Borough purchased those properties and razed the flooded buildings. 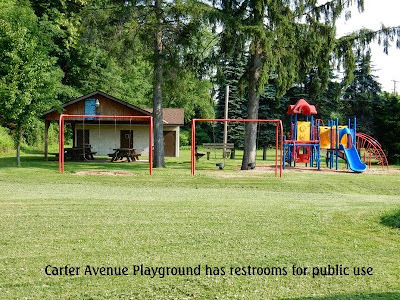 In 2002 the Borough began construction of a pavilion, restrooms, picnic tables and benches with the assistance of a $19,999 grant and workers from the Pennsylvania Conservation Corps and created the "Carter Avenue Park". 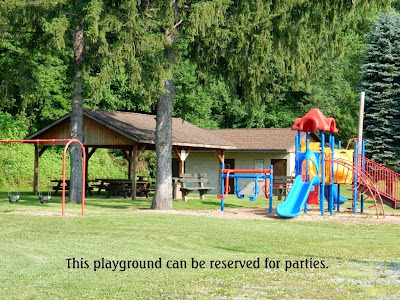 In 2003 playground equipment was purchased and constructed by Dr. Buffington in memory of his son-in-law who died of Leukemia. 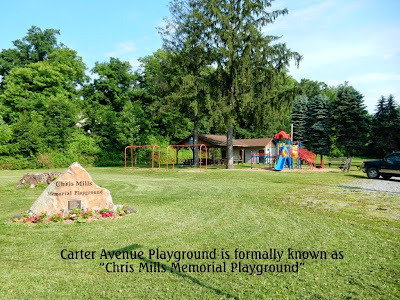 The playground was named the "Chris Mills Memorial Playground". The rest of the property currently awaits further recreational development.